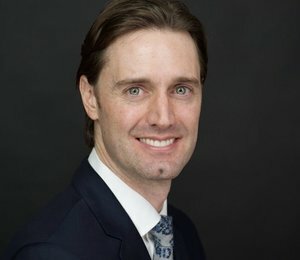 Over the past decade, Michael Spirito has been at the forefront of the rapidly evolving digital-sports-media scene, overseeing a sweeping digital transformation as head of business development and digital media at YES Network before taking on the same responsibilities for all Fox Sports Regional Networks as well. Spirito has championed the strategy of fully incorporating the digital team into the linear-production workflow as well as nearly every other department at an RSN. In doing so, he helped to create a model that flourished first at YES and now at Fox RSNs across the country. While at YES, which he joined in 2006, he led the launch of the first in-market live-game-streaming product in MLB history in 2009 (as well as the first authenticated TV Everywhere product in professional sports) and dramatically increased YES’s social-media presence and online video-distribution strategy (YES has been an active programmer and revenue partner on YouTube and an active Facebook user since 2007, much longer than most RSNs). With a flood of video content streaming from Fox RSNs’ digital-production teams, Spirito aims to make the holy grail of digital media a reality: widespread monetization. SVG sat down with Spirito at YES Network’s production facility in Stamford, CT, to discuss how YES has served as a model for other Fox RSNs’ digital efforts, Fox’s Facebook Live productions and how to monetize them, how to serve different social platforms, and the increasingly popular “pivot” to video by sports-media organizations. How do YES’s digital and linear-production teams work together to create content? It’s amazing how seamless the interaction between [YES’s] digital-media team and the linear-production team has become. That includes the people producing behind the camera, talent who are on-camera, and the digital team behind the scenes. We started this 10 years ago when we became the first RSN to essentially treat digital commensurate with [linear] production. We wanted to make sure that people who were producing for television were thinking about how we are going to program our digital channels. And, up here in Stamford, Kevin [Sullivan, director, digital media] has been the leader of that. Kevin has built a small but very nimble and skilled team to create content for digital. First, it was for the website only but has spread to a variety of digital and social channels as well. We have been an active programmer and revenue partner on YouTube since 2007 and been on Facebook in an active manner since 2007. We’ve been programming toward these channels specifically since the beginning, and we have led the brigade in terms of digital monetization. Since Fox acquired a majority share in YES Network in 2014, how has YES helped to provide a digital-production model for other Fox RSNs? We’ve shown them the template that has worked at YES. And the first thing that I did was try to alter how they thought about programming all these digital channels by embedding the digital-media function within the [linear] production. When you have every piece of the organization thinking with the digital mindset and, more important, seeing the fruits of their labors, you are going to succeed on both the linear and digital sides. When you show the exact number of views that a specific piece of content got on this digital channel or the number of people that are following us on this social platform is multiples above the people watching an average Yankees postgame, that gets people’s attention. From an [on-air] talent perspective, the more we can enhance their personal brand and get them to engage more people, they are going to become more excited to be a part of it. YES Network and Fox RSNs have been heavy users of Facebook Live throughout the MLB season. Tell us a bit these efforts and why you believe they are critical. YES and other Fox RSNs were among the first to go live with that product 17 months ago. We’ve grown it in leaps and bounds since then. [YES Network] has done more than 130 Facebook Live streams, and there have been more than 4,500 across the Fox regions. It’s a tool that obviously is very useful because of the immediacy of it: we can genuinely break news on that platform. Whether it’s [YES analyst] Jack Curry breaking the [Yankees’ trade for pitcher] Sonny Gray or a late-breaking injury report, we can be on Facebook Live in minutes. In addition, we can show people what’s really happening behind the scenes. And we’re seeing phenomenal engagement and viewership across all the Fox RSNs. We’ve had 360-plus million video views across all the Fox RSNs for fiscal 2017, which basically is 12 months ending June 30: just massive numbers and massive growth over two, three years ago. These digital channels are tailor-made for experimentation. Some stuff works, some stuff doesn’t work, but, when you find something that does, you can just try to hit those same data points and produce similar content. That’s how we started with the Facebook Live look into the production meeting. It’s very non-traditional content coming from a sports network, but it’s been immensely successful for us in terms of viewership and engagement. What’s an example of content that has directly resulted from embedding the digital team within the linear-production team’s workflow? I think Yankees Post Game Plus is a perfect example. One of the first things we did was a digital-specific postgame show, and now at least half of the other Fox RSNs are doing it as well. These are sponsored segments that are purely for a digital audience, and they’re great pieces of content. [The YES] linear postgame is very successful in terms of ratings, but add in 50,000 or 60,000 views of the digital piece, and that helps you get even more buy-in from talent and producers because they see the results. It’s a truly multifaceted approach to build an audience: make sure that the digital function is meshed in with every facet of the organization and then just keep experimenting and creating. How far along are we in developing a legitimate monetization model for Facebook Live content — and digital content in general, for that matter? We’re still in the extreme infancy of the revenue model for that type of content. There just haven’t been that many examples. I can’t even think of another one [besides the Papa John’s sponsorship] that’s actually embedded sponsorship in a Facebook Live stream — whether it be a regional or national [sports entity]. That said, obviously, Fox Sports Go is a more mature product, and we’ve grown [revenue] year-over-year with our baseball, basketball, and hockey product more than 200%. But that product looks more like linear television, and it’s easier to make the sale because it feels more familiar. What are you seeing in terms of viewership and engagement numbers across Facebook, Twitter, and Instagram? The video views on Twitter have been massive. And not just for YES but for a handful of the other regions as well. Obviously, Twitter is getting behind a massive video push, and I think their algorithms are helping elevate quality content to people that are trying to consume … particularly sports. So we’ve seen massive growth in terms of video that we have on that platform. In terms of Facebook, Kevin and the YES team have done a marvelous job, and they pay a lot of attention to that engagement metric that Facebook provides. On a week-to-week basis, we have seen that, in a lot of cases, YES is driving more engagement than national networks or even the teams themselves with fewer posts almost every week. And we have probably seen more engagement on Instagram than on any other [social platform]. YES now has 179,000 Instagram followers, which I believe is the highest of any RSN. And how are you approaching Snapchat? We are definitely intrigued and continue to explore [Snapchat]. It’s a very specific type of programming and very specific demographic, very different than would watch a linear Yankee game. So it’s also a very different sales proposition. In terms of what we’ve done thus far, it’s been very similar to what we do with Instagram at this point. We are experimenting and trying to be fun, young, and playful. We’re definitely not posting news items or injury updates. We’re also very early in the sales cycle, and again that’s a very different demographic than the ad-sales teams at an RSN are typically comfortable selling to. We have seen major sports-media organizations, including Fox Sports and Vice Sports, restructure their digital teams recently in an effort to “pivot” toward creating more video and less text-based content. Do you believe this is the appropriate strategy for RSN operations as well? We are a television network, and video is what we do best. So, yes, for a regional sports network, I think focusing 100% on video first is the right play. To me, the DNA of a regional sports network is enmeshed with the production of live games and pre-and post-game content surrounding the teams you’re in partnership with. The better job that you can do translating that to the immediacy of digital media, the better you’re going to build a business. Now, I’m not saying that you go completely away from the written word. Certain textual content performs well, and there is an absolute necessity to have that, but I think it’s definitely tilted toward video content. A decade ago, we made that pivot here at YES. It’s a decision that we made across the Fox RSNs three years ago. And it’s 100% the right decision, given the resources at our disposal and the product that we are creating and selling on a day-to-day basis. Given the rights that we have and the relationships that we have across all the Fox RSNs and the 44 teams, I believe that is where the future is going. Look no further than what Facebook has done in the past two years. There was no video or very little video just two years ago on that platform. Now it’s all they do. The entire future of that company is in video and its sponsorship around that. That’s how they’re driving engagement and publishing to that platform. That’s how they’re driving consumption and keeping people on that platform longer and longer.